Dr Zahi Hawass, now Secretary General of Egypt’s Supreme Council of Antiquities, spent many years as the antiquities’ Director at Giza. It was during his time there that the Workmen’s Village and their tombs were discovered, adding another, more human facet to the story of the pyramids at Giza. This book looks at the great pyramid-building age, beginning with the reigns of Sneferu and his pyramids at Meidum and Dahshur and ending with the three pyramids built at Giza. This is a fascinating and very readable little book covering the reigns of the pyramid builders of the Fourth Dynasty and explaining how much of the knowledge we have about them comes from excavations and the evidence from the tombs of nobles and workers at Giza. 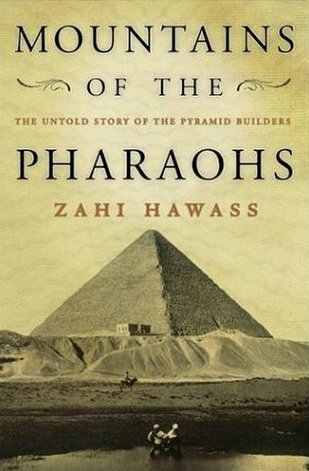 The engineering skills of the ancient builders is remarkable, and is covered well in the chapters on each pyramid, but one of the strengths of this book is the human aspect, the account of the lives of the pharaohs and their court and also of their workmen who sweated and toiled to build their great monuments. The book does have a few colour illustrations, although it is a shame that the publishers did not include some maps, plans and diagrams of the pyramids, which would have been useful for those absolutely new to the subject. ISBN 0 385 50305 9. Hardback, price $24.95. Once upon a time, the British Museum used to publish a full guide to its Egyptian collection. Before illustrations were possible, this was a comprehensive list and description of all the objects on the galleries. The British Museum’s Egyptian collection is huge, so it is impossible to produce an illustrated guide to all the objects. In the last few decades, publications have focussed on histories of Egypt, illustrated with objects from the collection, or a series of smaller publications focussing on one aspect of the collection: mummies, or sculpture for example. This new, fully-illustrated publication is most welcome and features over two hundred objects from the collection. 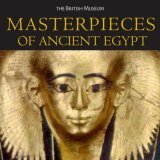 The title Masterpieces may be misleading, for this may imply great works of art, and there are indeed a large number of objects which fall into this category in this book; however, the selection of objects covers the wide range of the collection from ancient Egypt and Sudan, from colossal statues to fragmentary papyri of great archaeological importance. Following a brief introduction to ancient Egypt and the history of the Museum collection, the bulk of the book is devoted to the “masterpieces”. Listed in chronological order from the Predynastic period in Egypt right up to the early Christian era, each object has a double-page spread. A full description and history of the object fills one page, with a full-colour photograph of the object on the other. The format will be familiar to readers as it is used for major exhibition catalogues and works well. The descriptions are excellent and include information on where the object was found, how and when it was acquired by the museum, its dimensions and the materials used. You will find information on the objects in this book that you will simply not find elsewhere, not even in the museum, where the museum labels, good as they are, have, of necessity, to be brief. 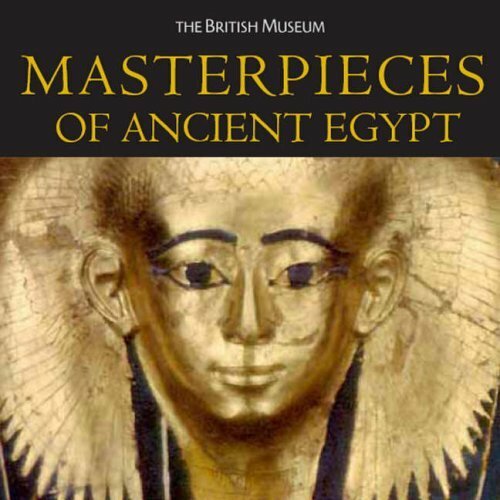 I am sure many AE readers will be more than familiar with the Egyptian galleries in the British Museum and this superb book will make any future visits even more rewarding. For readers who have not visited the museum, or who perhaps cannot, then this book will be the next best thing and clearly demonstrates the importance and range of the objects in the Egyptian collection. This book is an absolute “must have” and will prove to be an invaluable reference for anyone interested in ancient Egypt. Published by the British Museum Press, 2006. ISBN 0 7141 1972 5. Hardback, price £20. This book was first published in 1994, before AE was first published, and, as such, has not received a review in the magazine. It is a publication that may well be familiar to AE readers, for it has been in print since then. 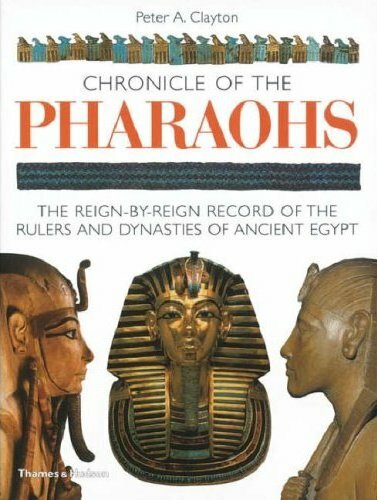 It is, as it says on the cover, a “reign-by-reign record of the rulers and dynasties of ancient Egypt”. There is a wealth of information in this book which is well written, accurate and profusely illustrated throughout. For each Pharaoh, the royal names are included (over one hundred and seventy are listed), a note about their burial places and a brief biography/account of their reigns and exploits. My own copy is well thumbed and I tend to use it as the first port of call if I need some information on a particular ruler or dynasty. It is also a book I have always recommended to anyone new to the subject who may be confused at the sheer number of works on Egypt, and is uncertain which one(s) to buy. This revised edition, now available in paperback for the first time, will hopefully mean that this book, a popular history, but also a good work of reference, will be available to even more readers. ISBN 0 500 28628 0. 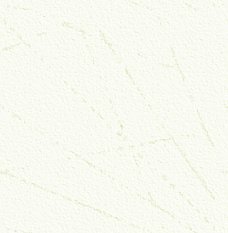 Papercover, price £14.95. Following the same format as the Chronicle of the Pharaohs mentioned above, this new publication looks at the lives and times of the Queens of Egypt and female members of the royal family. The author, well-known for her previous books on women in Egypt and biographies of Egyptian Queens, begins this book with a look at the role of women, that of the royal consort, and that of female Pharaoh. There then follows a Dynasty-by-Dynasty look at the lives of the Queens. Many of the names here will be familiar – Hatshepsut, Tiye, Nefertiti and Nefertari, for example – but it is good to find a book where the lives and roles of other important Queens, from both earlier and later periods, are mentioned. It is clear that, far from just being a Queen consort, and the mother of the Pharaoh’s children, the Queen exercised real power and influence. The role of supportive wife and mother was important, but in times of crisis a Queen could, and did, marshal troops and rule on behalf of an infant son. On several occasions, Queens even took on the ultimate role, that of Pharaoh. This book, too, has a wealth of information and is superbly illustrated; it is also both a popular history and will be a work of reference. Both “Chronicle” books are really recommended as a good and sound introduction to ancient Egypt. ISBN 0 500 05145 3. Hardback, price £19.95. In the last decade or so, many museums around the world have been using the latest technologies to investigate Egyptian mummies. The Egyptian collection in the National Museum of Antiquities in Leiden (founded in 1818) is impressive and well known, although research on the large mummy collection began relatively late. In the 1960s the human mummies were X-rayed and in the 1970s some were scanned. In 1997, a new project was started, to scan all of the museum’s mummies (the earliest of which might date from the Twentieth Dynasty, with most dating from the Third Intermediate Period to the Roman Period). The results are published in this impressive volume of 333 pages. Chapters look at the history of the collection and the fascinating story of how the mummies were acquired by the museum, many at the beginning of the nineteenth century. A chapter looks at mummification methods and the history of research on mummies, ranging from the early “unrollings” as public spectacles, to the use of more scientific and nondestructive methods. The various merits and uses of the latest scientific techniques available are described. 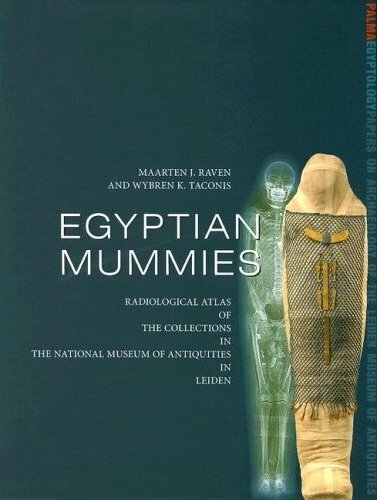 The bulk of the book looks in some detail at the specific finds following the examination of the Leiden mummies, with a full catalogue of all the human mummies (twenty-seven in total) and body parts, as well as animal mummies. The examination reveals gender, the age at death, physical evidence of diseases or just “wear and tear”, dentition, the state of the wrappings and any objects within them. Many of the finds confirm those made by investigations in other collections of mummies, such as the poor state of the teeth of the ancient Egyptians, caused by wear and dental abscesses, and degenerative diseases such as osteoarthritis. Evidence of fractures to bones can also be seen. The catalogue describes each mummy in detail and records the mummy’s history, the identification (where this is known – usually determined by names and titles recorded on associated coffins found with the mummies), the mummification methods used and any artefacts found within the wrappings. Over seventy animal mummies were also examined. Again the information obtained confirms that obtained from other studies: many animals, cats in particular, did not survive to an old age and were probably bred specifically for use as offerings. The ancient embalmers were clearly not above misleading their customers, for in many cases the embalming is poor, if indeed there is actually an animal body present! Some “mummies” were revealed to be nothing more than wrapped bundles of linen, or, at best, contained just the odd bone or feather. With many illustrations of scans of the mummies, the book is, of necessity, full of anatomical references and terms e.g. “Axial CT-slices in cranial to cadual direction”, and perhaps an enlarged glossary with more anatomical terms would be useful to the complete layman. Having said this, it is not difficult to work out what parts of the body are being illustrated or described, and after a short time, many of these seemingly confusing terms will begin to make sense! This book is well written and illustrated and there is a wealth of information here for anyone who wants to make a serious study of the scientific examination of mummies, but it will also be of interest to a wider readership with perhaps a more general interest in the subject. Mummies always have been, and I suspect always will be, of great interest to anyone visiting the museums that house them. Surprisingly few mummies have survived from ancient Egypt and they are, therefore, a rare and important resource. Studies such as those described here are important and can tell us so much about the ancient Egyptians. ISBN 2 503 51701 3. Hardback, price 55 Euros. This is a revised and updated version of a title first published in 1994. Dr Pinch looks at the connections between myth and magic, and the deities, such as Isis and Bes, who had special magical importance. 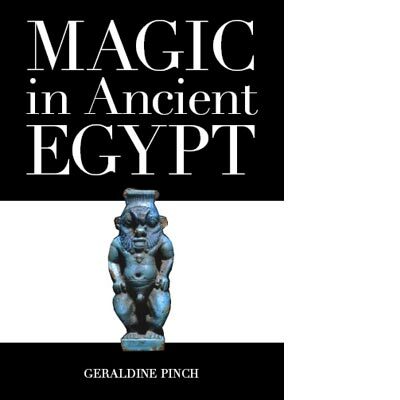 Chapters include “Medicine and Magic” and “Magic and the Dead” and the author shows how elements of ancient Egyptian magic still survive today. ISBN 978 0 7141 1936 6 Paperback, price £12.99. This is a revised and updated version of a title first published in 1989, drawing on the latest research on the subject. 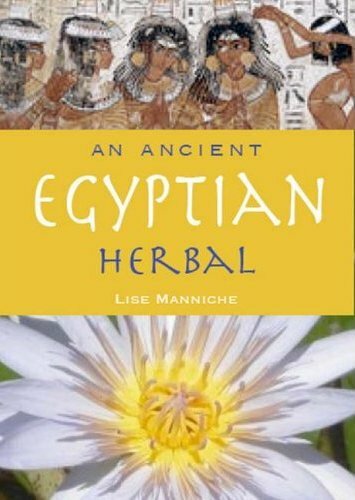 The author discusses the Egyptian’s uses of herbs and flowers for both decorative and practical purposes, and the importance of plants for funerary and festive occasions. Chapters include “The Egyptian Garden”, “Bouquets, Garlands and Collars”, the uses of flowers in the home and kitchen, and for cosmetics and perfume. The Herbal lists and describes the plants available to the ancient Egyptians. Both books are well illustrated and written, with a wealth of good information and excellent glossaries and bibliographies. ISBN 978 0 7141 1974 8. Paperback, price £9.99. Photographs by Harry Burton, Text by Susan J. Allen. The discovery of Tutankhamun’s tomb is perhaps one of the best known archaeological stories in the world. Clearing the tomb took ten years and each step of the process was painstakingly recorded and photographed. Over one thousand four hundred black-and-white images were taken by British photographer Harry Burton, who worked for the Metropolitan Museum of Art in New York. His photographs recorded all the objects as they were first found and in the various stages of their removal from the tomb. His images are well known and are still reproduced today. His two identical sets of glass plate negatives are held in the Metropolitan Museum in New York and in the Griffith Institute in Oxford. 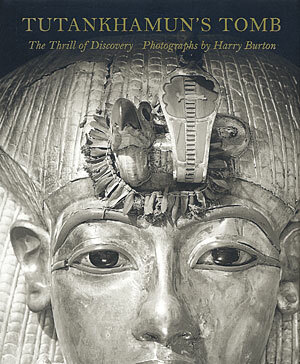 The images selected for this book are used to tell the (by now familiar) story of the discovery of the tomb and its contents, although it is always a delight to see Burton’s brilliant and clear photographs. Burton worked under difficult conditions and he produced some technically brilliant photographs, using reflected sunlight and just two electric lights installed in the tomb. It is a shame perhaps, that some space in this book was not devoted to some of the more technical aspects of his work, and how he actually achieved his results. This is information which would be if interest – even, for example, what sort of camera did he use? The foreword of this book does mention “gelatin sliver prints” but I am now curious to know what that actually means and the techniques used. What is perhaps disappointing is the publishers’ decision to use an off white/yellow paper for this book, which gives all the images a dull slightly sepia hue – whereas in Carter’s original publications (and in most of the other books that use Burton’s images) the photographs are printed on white paper, which makes them far brighter and more crisp. Archaeology is a destructive process and I for one never tire of seeing Burton’s images of the small chambers of Tutankhamun’s tomb, packed with objects. The objects can, of course still be seen today and attract thousands of visitors a day to the Egyptian in Museum in Cairo (or on special touring exhibitions abroad), but they only tell half the story. Thanks to the skills of Harry Burton, we have images, which never cease to amaze, of the jumbled contents of the many boxes, of the gold mask as first revealed and – ones I always find fascinating – of the many gilded figures of the king and the gods, all carefully wrapped in fine linen. Burton captured a series of unique moments in time, with images that can still impress today, and which undoubtedly will continue to do so for many more generations. ISBN 1 58839 189 2. Hardback, price $24.95. This book explores the images of death and death rituals in ancient Egypt, based, not on archaeology or on mummies, but on the written word. As the author points out, “human beings are the animals that have to live with the knowledge of their death, and culture is the world they create so they can live with that knowledge”. This is a scholarly work looking at the unfamiliar genre of the death liturgy and is, therefore, probably not a book for the beginner. But anyone interested in funerary texts and spells and Egyptian literature will find that the liturgy can reveal much about the ancient Egyptian’s attitude to death and their sometimes complex beliefs. Published by The Cornell University Press, 2005. ISBN 8014 4241 9. Price £31.50. 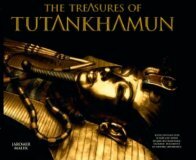 With a major exhibition coming to the UK next year, featuring some of the treasures of Tutankhamun, it is not surprising that a number of new books on the subject are likely to be published. This large format book comes encased in a box and tells the, albeit well known, story of the discovery of the tomb. Beginning with a section on the “Land and People” and others covering religion and art, the scene is set for the Amarna Period, which is described, as is the reign of Tutankhamun and, of course, the discovery and clearance of his tomb. This is, however, much more than the familiar story, but an unusual publication. The first impression of the pages, printed on thin card, is that they resemble a children’s pop-up book (without the pop-ups), but then it is clear that on almost every page there is a pocket or envelope that contains other things. An “activity” sort of book then, perhaps? Well, the book is clearly not aimed at young children and these pockets and envelopes contain over thirty excellent facsimile copies of important and rare documents relating to Egyptology, and in particular to the discovery of Tutankhamun’s tomb. These are superbly produced and include a copy of Champollion’s famous letter when he cracked the code of the h i e rogl y p h s, early plans and diagrams of Egyptian temples, a letter from Howard Carter to Lord Carnarvon, and copies of pages from Howard Carter’s daily diary. From the period of the excavation of the tomb are copies of Carter’s reference cards, drawings and plans, of photographs taken at the time and much more. These records, rarely seen in publications, show how meticulous and detailed Carter was in his work. His drawings are of the highest quality and are still an important and much-used resource today. These facsimiles, many from the archives maintained at the Griffith Institute in Oxford (which holds the Tutankhamun Archive) are really fascinating. The reproduction is amazingly good, down to the marks and stains on the paper, old sellotape marks and the general discolouration caused by the passing of time. The inclusion of all this archive material does make for a fascinating read. However, I have to say that getting the pieces out of the pockets can be a bit of a fiddle, and the maps and plans have to be re-folded and re-inserted into the pockets again, which is even more of a fiddle. I cannot but worry that over time, some of the pieces will become more worn and creased than the wear and creases printed on them, and also that some may become lost completely. Great as it is to see and handle the facsimiles, I might have preferred to see them printed on the pages of a more conventional book. That said, there is a lot of information here, especially on the facsimile items and there is the potential for a pleasant and rewarding hour or two to be spent reading and examining these items in detail, and carefully putting them back where they came from. Perhaps an “activity book” for adults isn’t such a bad idea after all! As for the main pages of the book … these are a delight, too. The author is the Keeper of the Archive at the Griffith Institute and, as such, is perhaps more familiar than most with the Tutankhamun archive and all the superb photos taken at the time by Harry Burton, and it is nice to see a number of photos which will be new to many readers. All too often publishers use the same images again and again. The strength of the archive is such that it also includes material from before 1922, which is used to illustrate the earlier sections of the book. I suspect that of all the Tutankhamun-related material we may see in the next year, this will rank amongst the best – it is certainly different. For teachers, and lecturers, the facsimile documents will be a useful and unusual resource. Published by Andre Deutsch, 2006. ISBN 0 233 00197 2. Boxed hardback, price £30. This is a curious book, arguable certainly in parts, but definitely intriguing. The author, “contentiously convicted of ‘smuggling’ Egyptian antiquities” (publisher’s jacket blurb), is apparently poacher turned gamekeeper. There is no doubt that he is one of the foremost restorers of antiquities of his generation, and therein lies the rub. The “contentious” case referred to concerned the head of an Egyptian queen, allegedly stolen from Egypt. The author maintains that it was not stolen and, indeed, is an outright fake that he had recognised as such, had worked on restoring, but had not been asked about its origin when questions began to be asked. He suggests (p. 223) that it was made by “The Berlin Master” (for him, see Minerva July/August 2005, pp. 20-21, and J-J. Fiechter, Faux et faussaires en art égyptien, Brussels, 2005). The account of “The Curious Case of Nefertari’s Head” forms the first part of “Part I: The Argument”; this is followed by “Part II: The Support”, and “Part III: The Proof ”; the three parts comprise twenty-two chapters, all based on and interwoven in their content with the book’s subtitle, “The Cultural Heritage Crusade”. A great deal of philosophic discussion pervades each of the chapters (we are told that the author read philosophy at Cambridge), and the text is enlivened by large extracts from the author’s Journal relating to his Egyptian experiences; each chapter then has a Summary at the end. The essential question that the book asks is the perennial one: “Who owns the world’s archaeological treasures?” In one form or another it emerges with monotonous regularity. 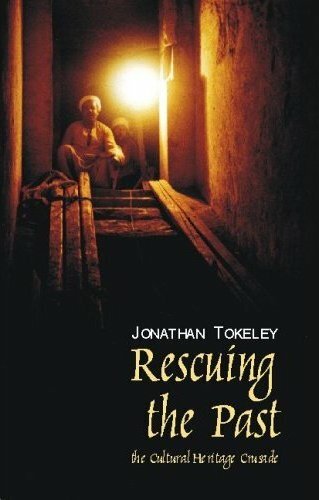 Here at least Tokeley, writing with a very personal passion, puts the case as he sees it based on his Egyptian experiences, essentially challenging the view that Egypt’s treasures are safe in the hands of Egyptian officials. Not so he says, citing many instances that, were they not apparently so tragic, would be ludicrous. The compliance that he “documents”, usually via quotations from his Journal, is unbelievable, even if only half true, and certainly would not be acceptable, being “hearsay”, in an English court of law. The stories/accounts in this book are eye-openers in the fullest sense, but how much truth there is, many might well contest. But, caveat emptor: The Rosetta Stone was not “confiscated by Nelson’s squadron from Napoleon’s expedition” (p. 67); Nelson’s battle of the Nile was on 1 August 1798, the Rosetta Stone was found in 1799, and came to Britain under article 16 of the Treaty of Alexandria, 2 September 1801; coins, for them to be regarded as Treasure, have to be over three hundred years old, not “from three realms” (p. 95); and, the Giza Sphinx (pp. 168, 278) is male, not female (which Greek sphinxes are); and so on, in many places in the book. An in-house editor with a better idea of the wider field would have been useful. The author states “This is a single-minded book”, and it certainly is, yet it deserves to be read by anyone involved with antiquities: curator, dealer, collector, and not simply those who are Egyptian antiquities orientated. It has much to say that many will agree with, and others will react strongly to but, in the outcome, whatever side you take, it is certainly a thought-provoking and riveting read. Published by Imprint Academic, Exeter, 2006. ISBN 1 84540 019 4. Hardback, price £25. Peter is the author of a number of books on ancient Egypt (one of which is mentioned in the reviews) and Consulting Editor of Minerva magazine.